Most of the world’s supply of diamonds primarily originate from Africa, Canada, India, Russia and Australia, with 95% of the Fancy Coloured Diamonds arising from the Argyle mine in Western Australia. The diamond industry is dominated by De Beers accounting for approximately 90% worldwide supply. De Beers Central office in London distributes to bourses in Antwerp (Belgium), Amsterdam, New York, Israel and Mumbai. Michel Germani has established an extensive network of suppliers (Particularly in Antwerp) and thus have direct contact with all the major diamond bourses. Hence through his widespread network of suppliers Michel Germani is able to obtain the best quality diamonds at the best price, saving you the hassle of dealing with multiple distributors in search for your perfect diamond. Only an expert such as Michel Germani will be able to differentiate whether the diamond is of gem quality with the required light reflection, something which does not appear on the certificate. Due to this we strongly advise you not to make mistakes by purchasing diamonds online. have to trust the expert but we simply do not advise you to purchase it online on your own. Similar in rationale of how you would trust the doctor in treating you when you are sick, just as you should be trusting Michel Germani in choosing the ‘right’ and suitable diamond for you. Moreover, a gem quality diamond is especially more important if it was purchased as an investment. As higher the quality of the diamond, the more rare it is, the higher the value. The value of diamonds has a strong link to the supply and demand of the diamond market. There is always a high supply of inferior quality diamond as compared to the supply of gem quality diamond. Nevertheless, the demand is always on gem quality diamonds but there is also demand for inferior quality diamonds too. Therefore, Michel Germani advice on this is, when buying diamonds, you have to aim for gem quality which does not necessary have to be the highest grade. Secondly, always stay with gem quality diamond as there is no need to go for extreme high quality when buying diamonds. 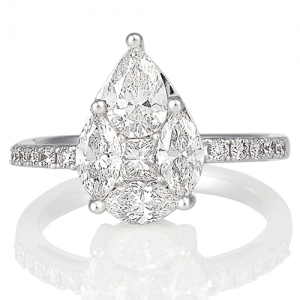 If you take on Michel Germani’s advice, the diamond you choose will undeniably be a good investment. 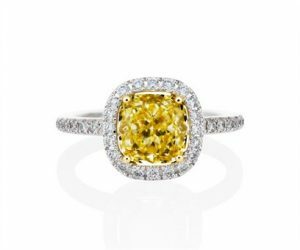 Apart from the selection of gem quality white diamonds as mentioned above, you can also consider purchasing a fancy coloured diamond to supplement your other investments. Fancy coloured diamonds (such as pink or fancy yellow) appreciate rapidly due to its scarcity and rarity, as a result it makes a strong investment especially when the Australian Government allows citizens to choose pink or coloured diamonds as their superannuation funds. In the past decade, pink diamonds have become a popular addition to superannuation funds with more than 30% appreciation rate as compared to other super funds and investments. 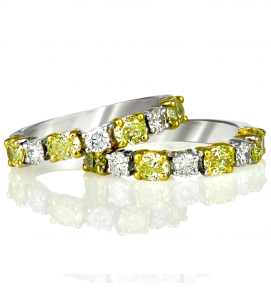 You are welcome to contact Michel Germani for recommendations on the best quality and value of coloured diamonds. Furthermore, he can also advise you on how to manage your superannuation funds better. With guidance from Michel Germani, the diamond that you purchase will definitely be a good investment. On the contrary, if you overpay on a diamond purchase it would take you a long period of time to recuperate your purchase. 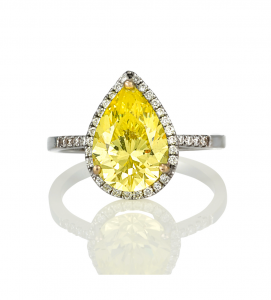 We will be discussing further on pink and fancy yellow diamonds for our next chapter.